"One of the BEST Entertainer I've seen. She is FANTASTIC!" Sydney Kids Magician offers the most popular package with Birthday, Communion and Christening parties. Where your child will be the STAR of the magic show. Package can include Balloon Twisting. Suitable Ages from 3-10 yrs. This perfect for School Holiday Programs, Libraries, Shopping Centres, Easter Show, School Holiday Festivals. It is a fun, interactive and entertaining magic show! Suitable for Ages from 3 to 10 years old. This Magic Show is designed for Primary Schools which is both Entertaining and Educational. Perfect for rewarding the children on their achievements such as Reading Challenge or anti-bullying education. Popular with OOSC and Vacation Care. Corporate family days and fun days are an ideal way to engage your staff and their entire family. We provide Roving Magic and/or Family Magic Shows to enhance your event. If you’re not completely satisfied with Sydney Kids Magician Tracy's services, you don’t have to pay a cent, simple as that. You can book in confidence knowing that you have nothing to lose and everything to gain! 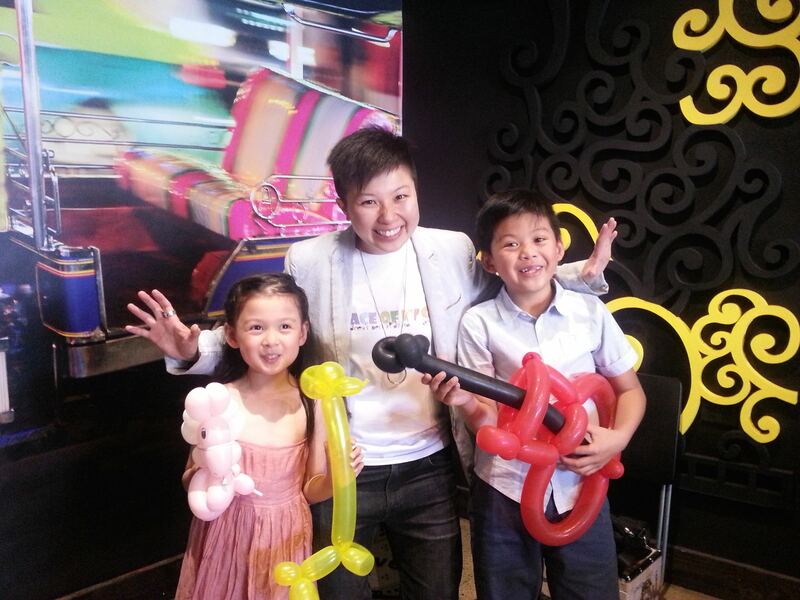 SYDNEY KIDS MAGICIAN | SPECIALIST CHILDREN & FAMILY ENTERTAINER ! Tracy is Sydney Kids Magician. She is known to be a kids magnet and loves entertaining kids from 3+ years onwards. Her Kids Magic Show is fun, interactive and extremely funny. She leaves her little audience rolling on the floor laughing and captivated with the magic acts. The magic show is perfect entertainment for families to enjoy and of course parents to kick back and relax for the full hour. She is a professional FULL TIME childrens magician and has the perfect magic show to create the magical memories for your family and friends. "The kids were totally engaged and laughing throughout the WHOLE time. Very entertaining and I highly recommend her to other parents "
"Absolutely hirlarious show. One of the Best Entertainers I've seen!" "WOW! I love how Trace interacts with the kids. They were engaged for the FULL HOUR. I don't know how she does it. You need to get her for your kids birthday"
"I was amazed at how Trace connected with the kids. We all loved it. Adults had a blast too. Thank you Trace. I highly recommend her to other parents." "You are so funny. Best Magic Show on EARTH!"